PLM Technology is a professional services provider specializing in helping companies who are considering improving their organization through PLM principals and software implementations. It is critical that as PLM service provider we also participate in pre-vendor selection and awareness to advise potential buyers of technology with a business value assessment and readiness consultation. Value Drivers – It has been our experience that presenting business driver that enhances value by increasing growth, reducing cost or reducing risk. Working with the business, we present value drivers that require change in people, process, and/or technology to achieve. Current State – There are typically challenges that limit the potential of an organization to pursue certain strategies. Our workshops help determine the hurdles the organization must overcome to accomplish business goals as well as the assess they are. Measures – Helping the organization determine if it is making progress towards achieving certain strategies by setting performance indicators are part of our advisory methods. These measures drive focus and accountability to help improve success. Processes – These sets of activities and process models are required to create and service products and provide a comprehensive product lifecycle view; from concept through manufacturing, service and retirement. Best Practices – When it comes to technology-enabling capabilities, they require process transformation methodologies. These are the means by which an organization gains advantage creating and servicing its products. At PLM Technology our team will work strategically with each member of the organization to produce a definitive mutual understanding of what the true value proposition is –all the way from Creative Design to Information Technology (IT) investment. This as-is creates an awareness and participatory environment through-out the organizational teams and produces prodigious results in the long run. Throughout the inquiry we will meet with the individuals that play a role in the divisional departments within the client company. Typically this includes people and touches the following areas: Create Designers, Tech Designers, Engineering or Tooling, Merchandising, Line Manager, Sourcing, Operations, Finance, Information Systems, and Quality. Additionally, it is also vital to meet with the management and executive team to fully comprehend any challenges throughout the company and if these are repetitive issues. The workshops will be as brief as possible but have enough time to learn about the organizational operations. Each interview is typically scheduled for an one (1) hour. Generally a 30-minute kick-off meeting would take place at the beginning of the first day of interviews. This kick-off is recommended in order to assess the objectives of the interview once with all participants to reduce repetitive disclosure at the beginning of each interview to cover the purpose of the analysis. It is also used to communicate top-level management commitment to the business analysis and the interview procedure. 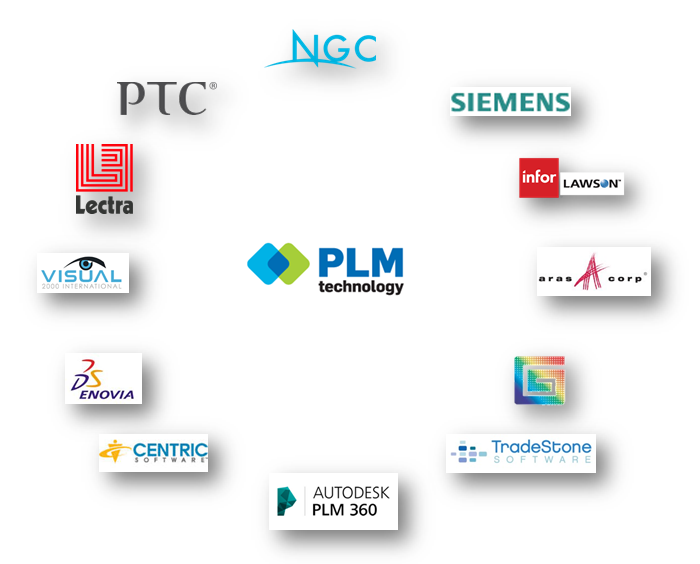 At PLM Technology we work with organizations to provide real business value and maintainable results from product lifecycle management (PLM). Our team is highly skilled in implementing successful PLM that enables innovation, improves the development and launch of new trends, and product reporting and compliance by managing product information as a single source of truth across the supply chain and throughout the product lifecycle. With our experience and a proper approach to implementation of PLM that delivers an enterprise solution each engagement is a success. 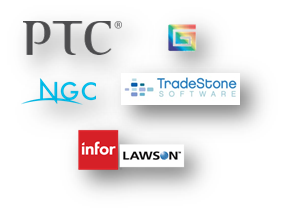 As an objective provider of end-to-end PLM advisory and implementation services we combine profound knowledge in strategy, process improvement and organizational efficiency with expertise in large-scale as well as Small to Mid-Size PLM technology deployments for all of the leading PLM software solutions. Regardless of existing processes, technical maturity or business objectives, we partner collaboratively with clients to facilitate, guide and support them through all of phases of the PLM implementation process to accelerate the value of their investment. 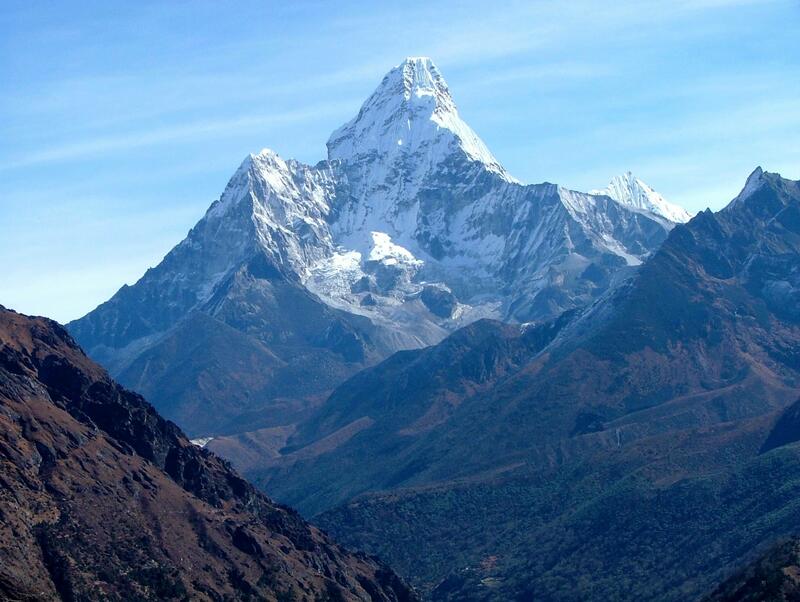 Rapid PLM implementations with strong OOTB alignment and zero to minimal customization. 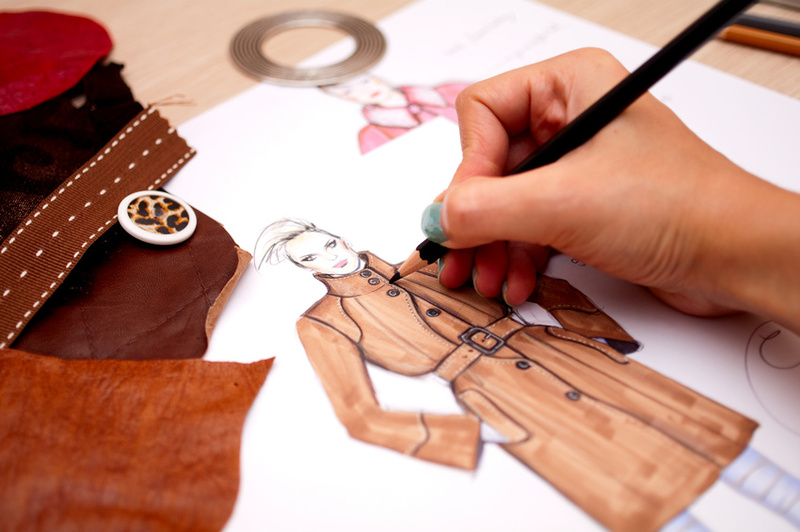 PLM implementations for Designer and Illustrator enabling CAD and Adobe integration, collaboration and visualization along with the basic design process implementation involving some customization. Services provided for PTC, DSO, Gerber Technology, Infor, Visual 2000, NGC, TradeStone, Centric, Lawson, Siemens, Autodesk PLM360 and Aras. Alliances with leading PLM vendors for showcase frameworks enabling tools and templates, creating shorter implementation cycles and reducing cost. At PLM Technology we have a wealth of experience, not just in Retail, Footwear and Apparel (RFA), but in providing implementation services to assure proper deployment and delivery of many select vendors application. At PLM Technology we understand that the ongoing support to create steady return on your PLM effort is not easy. We help global businesses accelerate and improve their PLM applications over time while providing the scalability, reliability and cost benefits associated with an enterprise application. Once product data has become central and user communities have become involved in the application delivery, it is critical to support on-going user feature request, system configuration to support the user experience, improve adoption and ease-of-use. There are two elements to ensure a successful PLM instance for many years within an organization. Our PLM Support team aims at keeping the solution running with continuously improved functional and performance levels. Keeping the solution operational and deploying new software and application versions can require resources and expertise from a technical point of view as well as from an operational one. Multi-level support: delivering various hotline and on-site support levels depending on complexity of the issues from daily hotline to ones that will imply future solution improvements. Training: delivering training sessions over time. 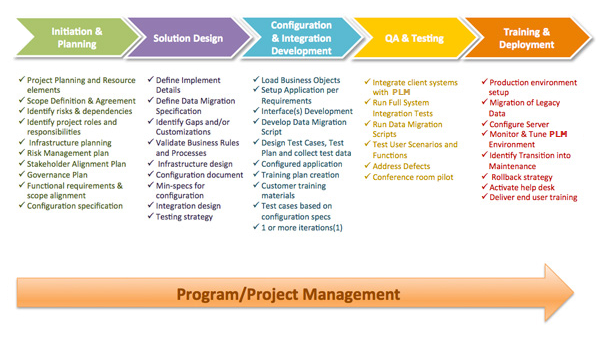 PLM projects can be deployed over several months or years. Users will receive progressively the initial training and preferably periodic adjustment trainings. Data administration: managing the system from a data perspective. Monitoring data creation and its usage, in terms of volume and quality. Maintenance & evolution: fixing application defects, reporting software bugs to the software editors and determining temporary workarounds, managing addition of new functions to the application. Any application evolution will have to go through various testing activities: functional, ergonomics, methodological, etc. 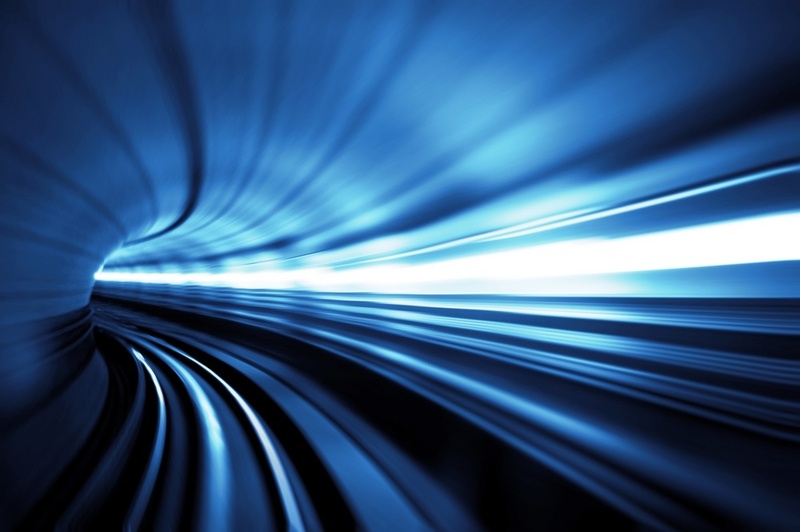 How can PLM Technology address the challenges? We are expanding our team. Please get in touch to join our team.